May choose items on king also. Also select uniquw-craft items on elephant. Buy also paintings on elephant. Choose more sculptures on elephant. 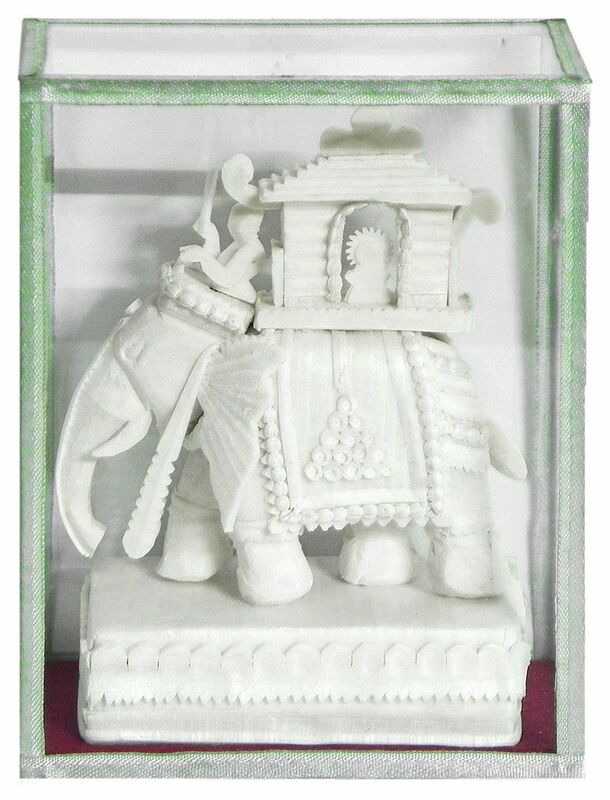 The elephant made of sholapith with amazing designs and a beautiful howdah (seat) is a marvel by Indian craftsmen. This gentle giant was the favourite mount of the Indian royalty. According to mythology, Indra the king of Gods, rides a four tusked white elephant-Airavat. Many temples in southern India keep elephants as pets, and these are often a part of ceremonial processions. This mode of transport was also used by Rajasthani kings and noblemen, specially for weddings.